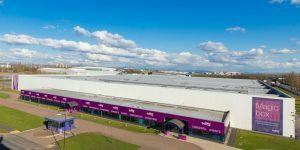 A variety of industry-leading figures have been talking about eCommerce ahead of their appearances at the eCommerce Show North next month. Registration for the inaugural event – which takes place over October 11th and 12th 2017 at EventCity in Manchester – is now open and proving very popular. The two-day event will also feature dozens of talks and seminars from key figures within the sector. The packed programme will include experts from the likes of Rentalcars, AO, Prezzybox, Kellogg’s, Virgin Trains, Park Group, Missguided and Icelolly. The range of expertise available at eCommerce Show North covers the complete eCommerce spectrum.